Thanks to Tom L who found this in a Manchester bus station the other day. What does the notice say? 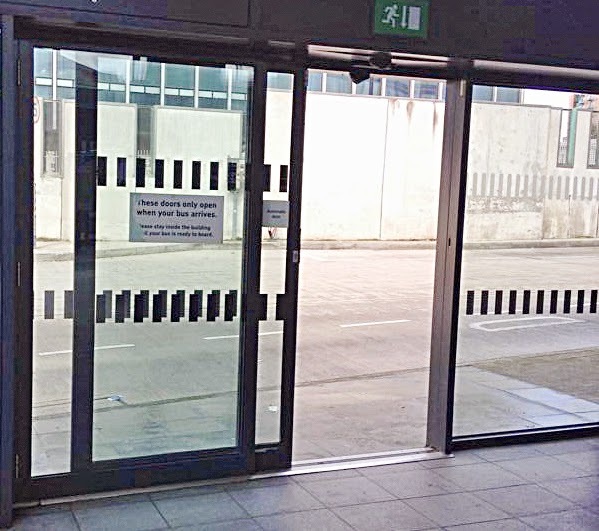 These doors only open when your bus arrives.